of words to follow. A simple theory (if you will note the pictures) would be to blame all of this on those dreaded new blue alternate road jerseys. Suffice it to say, good riddance 2008! There was a palpable excitement when the Braves reported to Spring Training this season. The return of Tom Glavine gave Atlanta a rotation that boasted four former 20-game winners. Unfortunately, Glavine, John Smoltz, Tim Hudson and Mike Hampton were unable to complete one full turn through the rotation at any point during the season. losses would prove to be crippling to Atlanta’s play-off hopes. July, were it not for the sparkling work of rookie right-hander Jair Jurrjens. months. It was the first work for the left-hander since August of 2005.
demotion to Richmond. Atlanta did see some quality work from Jorge Campillo, who gave the club 25 much needed starts and proved to be the only capable fill-in. The Braves bullpen performed admirably in the face of overuse and injuries. Projected closer Rafael Soriano was a non-factor for much of the season with a mysterious elbow ailment. A success story in 2007, Peter Moylan was out by mid-April with Tommy John surgery of his own. Mike Gonzalez returned midway through the season to assume the closer’s role and re-established himself as a late inning force. Will Ohman, Jeff Bennett and Blaine Boyer provided the majority of the middle relief work, all making more than 70 appearances. Jeff Francoeur would regress to the point of being banished to the minor leagues and Mark Teixeira would be traded away prior to the July deadline. young star status in question. sent to Double A Mississippi in hopes it would jump start his bat. was back to his regularly scheduled struggles. lineup hinged on the health of Jones and the production of catcher Brian McCann, who earned his third consecutive All-Star appearance. batted .301 with 42 doubles and a club-leading 23 homers and 87 RBI. rotation and adding a power-hitting left fielder. Trade talks for Jake Peavy fizzled, as did subsequent attempts to sign free-agent starter A.J. Burnett. Despite this, Wren was able to strike a deal with the White Sox to bring middle of the rotation stalwart, Javier Vazquez, into the fray. His track record of durability was something Atlanta was without in 2008.
the Wasserman Media Group again. If you thought the Jake Peavy saga was enough to sour the Atlanta off-season… And if you thought it was frustrating when A.J. Burnett chose the Yankees over the Braves… then you must have loved the drama that unfolded when the Braves were scorned in their pursuit of free-agent shortstop Rafael Furcal. Monday morning, it was the Oakland Athletics running out in front of the pack with a four-year offer for Fucal’s services. There was a mystery team in the running, with the Kansas City Royals, Toronto Blue Jays and Los Angeles Dodgers all believed to be interested to varying degrees. That msystery team, as we now know, turned out to be the Atlanta Braves, who offered Furcal a three-year deal worth a reported $30 million and included a vesting option for a fourth season. Everything seemed to be beautiful for a fleeting couple of hours if you’re into the homecoming story of Atlanta’s not-so-long-lost lead-off man. Frank Wren and the Braves front office believed a deal was verbally agreed to and went as far as to schedule a flight and physical for Wednesday. As reports trickled out, it turned out to be news to Dodgers GM Ned Colletti, who stated that his club was still in negotiations to retain Furcal. That is where we come off the tracks. This story has twisted and turned and finally landed in the completely bizarre. Furcal’s Atlanta-based agent, Paul Kinzer, managed to thoroughly upset the apple-cart as it comes to the Braves front office. Atlanta believes that Kinzer took a signed term sheet (a binding agreement that would have put into motion a full contract following the physical) and shopped it openly to the Dodgers. Is it any coincidence that the Dodgers jumped from luke-warm interest (having made it clear that a 2-year deal was all they were interested in) to making a 3-year deal with a fourth year vesting option for… $30 million? That raised a few eyebrows and more than a few red flags in my book. The fact that the Braves say they were lead to believe that they had an verbal agreement with Kinzer is hard to comprehend. How could they think they had a deal? How do you misunderstand a player agreeing to a deal in principle? I still don’t know how each side can state so fervently that they are in the right. Somebody is lying here folks. And I’m not even going to get into the debate regarding a position switch that may have been a deciding factor working against the Braves. Personally, I don’t mind Furcal returning to the Dodgers. His major back surgery is not something that would lead me to believe he is fully recovered after just one week in late September and a handful of post-season games. Back injuries are tricky, and the Braves may have dodged a bullet (much-pun intended) by allowing the Dodgers to step up and “steal” Furcal away for a multi-year deal. Wren and Braves President John Schuerholz have gone on the record as calling the moves made by Furcal’s agents “dispicable” and have stated they will never do business with the Wasserman Media Group again. Who knows if cooler heads will eventually prevail, but this thing has turned into a full scale fued. The Braves have work to do, most notably, they need to acquire a front of the rotation starter and one more hitter to solidifty the rotation and the line-up. The free-agent pool offers a few options but it seems logical that one of these needs will be filled by a trade. Could it possibly be Jake Peavy after all this time? Things are slow in Bravesland, but there’s still time on the clock for Wren to make it happen. glory, so fear not, reinforcements are surely on the way. content with their off-season simply because they acquired Vazquez. It’s one piece of a larger puzzle. in bringing back Will Ohman to serve as the primary left-hander in relief. he would see more time at first base as his career evolved. In that case, the Braves have top prospect Freddie Freeman (.316-18-95 in Rome) blocking him there. Flowers can hit, but I have never heard more noise about the Arizona Fall League making a star. and looking somewhat over-matched by major league pitching in Atlanta. confidence and his conditioning can’t be questioned. velocity and could become a valuable reliever down the line. Remember folks, they are called “prospects” for a reason. There are no guarantees in life, or in baseball. For all the moaning and complaining about the inclusion of players who were not even atop the Atlanta depth chart, I find it funny that after all the starting pitching deficiencies last season that anyone would complain about adding a veteran to the middle of the rotation. Reports have been confirmed by Braves.com’s Mark Bowman that veteran catcher Dave Ross has agreed to a 2-year contract worth $3.5 million. in 60 games with the Reds and Red Sox last season. world to front the rotation. was horrendous, and that may call for a new blog at a later date. I’m going to go ahead and thank Bowman, again, for shooting down Atlanta’s interest in Adam Dunn. all the time.” He is a .247 career hitter who will never be mistaken for an impact player, no matter how much you shine those two things he does well. The ideal trade for Jake Peavy has become a harder than originally expected task. Padres GM Kevin Towers practically wrote the book on how not to trade what should be one of the most valuable commodities by keeping virtually every step of these negotiations front and center in the press. The talks may rekindle, but the Braves and GM Frank Wren will have the option of pursuing A.J. Burnett and other free agent hurlers. Wren will certainly look to provide at least two hurlers who can provide some innings, perhaps the White Sox Javier Vasquez could fit that bill. Burnett, who turns 32 before the season, is clearly the Braves first choice as an ace. As Braves.com’s Mark Bowman pointed out last week, Burnett’s agent said a fifth year was not necessarily the make or break point. An 18-game winner a year ago, he also fills the role of ace starter which Atlanta is seeking this winter. Expect the Braves to make a big offer to acquire his services. Atlanta is also faced with decisions on a trio of starters from last season. Tom Glavine and John Smoltz each have to determine their plans on pitching after testing their surgically repaired arms. I have my doubts that Glavine will decide to play on, while Smoltz has proven that you just can’t count him out. If it comes down to being a starter or reliever though, I don’t expect to see Smoltz putting on the uniform to serve as a set-up man next season. Then there is Mike Hampton, who showed he something left to offer after two and a half seasons of injuries. Jerry Crasnick over at ESPN noted that Hampton and his agent are seeking a one-year deal to re-establish his value in the market moving forward. Would the years spent on the sidelines lead him back to Atlanta to do so? Depending on how everything shakes out with some of the other pursuits this winter, the Braves seem to be looking for a righty hitting middle of the line-up bat to stick in left this season. There are a range of options that starts with free agent Pat Burrell (whom the Braves will almost certainly pass on for his defensive liability and history of foot problems) and including the rumored to be available Jermaine Dye of the White Sox. If you open the running to include left-handed hitters then you start to get some interesting names. Raul Ibanez, who is not interested in becoming the full-time DH for Seattle, and Ken Griffey Jr. top my list of candidates. Ibanez is a consistent performer (averaging 113 RBI over the past three seasons) who hasn’t exactly been in a hitter’s paradise in Safeco Field. 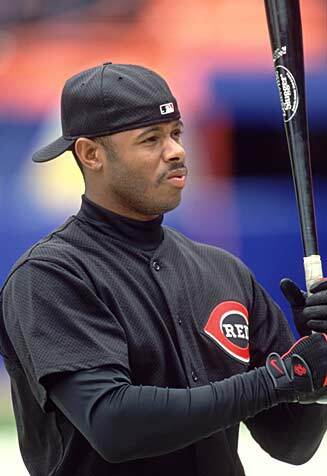 Age and injury combine to temper the expectations from Griffey, who combined to hit .249 with 18 homers and 73 RBI in 143 games with the Reds and White Sox last season. Still, a short term pact with incentives could be a strong option if other free agent options or trade alternatives become too costly in one form or another. The pen was a sore spot yet again for Atlanta last year. It seems like that theme has run through each of the last three seasons. The Braves do have a set closer at least, with Mike Gonzalez anchoring the ninth innings. Things are somewhat dicey after that though. Rafael Soriano is due a huge pay raise ($6.1 million) as part of the two-year deal he signed before last season and will have to prove he can stay healthy coming off just 14 appearances in 2008. Peter Moylan will be coming back from Tommy John surgery, and much is expected of that duo to solidify the late innings in front of Gonzalez. Atlanta is interested in bringing back lefty Will Ohman, who struggled late but was one of the most important arms last season. Another lefty will be important, as I’m not sure how waiver claim Eric O’Flaherty fits into those plans, but I’m sure that Wren will seek as many options as possible. Ohman and Blaine Boyer finished near the top of the pack in overall appearances, so the Braves will look to add some reliable depth where possible. If there’s ever a place where some trades will happen, I expect it to be in the relief department. For a team that has a young and multi-talented shortstop already, there have been more than a few rumors out there that the Braves will go back to one of their former shortstops this winter. What started with the potential trade of Yunel Escobar (and several others) for Jake Peavy has turned into the potential homecoming of Rafael Furcal, or perhaps Edgar Renteria. Of course, the Braves may not make it to the table for either one – so consider this simply a cursory examination of the available. A healthy Furcal would be a boost to the top of the line-up, providing a lead-off hitter that has not been present since his departure three seasons ago. The money and years would have to be right, and with the bad back that cost Furcal much of last season, it is hard to say the Braves will be a major player in this sweepstakes. The American League hasn’t seemed to be the place for Renteria on two occasions now. It was just 2007 when he hit .332 for the Braves, so who’s to say the down season with Detroit spelled the beginning of the end? With a week’s worth of prep time between now and the Winter Meetings in Vegas, many things could change. Wren could wrap up some of his shopping before he heads to Nevada. The Braves figure to have an interesting off-season either way. Sheez. Somebody had to jump the gun and announce the trade was in the final stages and go and have all of us thinking we would have a big day to blog about. Scott Miller of CBS Sportsline wrote a blog last night that had the Padres approaching Peavy to waive his no-trade clause and accept a deal to the Atlanta Braves. Based upon the fact that absolutely no one else was reporting it, and no one I knew had mentioned the trade being a done deal, I knew that it might just be getting our hopes up. I’m just ready to see this thing happen… because I’m impatient, if nothing else. Look, the deal may happen yet, and I have a feeling we will see the Braves coming away with their ace when it’s all said and done. Miller’s piece had the Braves giving up the long rumored package of Yunel Escobar, Gorkys Hernandez, either Charlie Morton or Jo-Jo Reyes and perhaps a fourth player. The new information was that righty reliever Blaine Boyer or one or two minor league left-handers (Jeff Locke among them) were on the table as well. So where did all this rumor about catcher Tyler Flowers being in the deal come from? Ah, thank you Ken Rosenthal of FoxSports and RotoWorld for coming to my rescue. When I thought all was lost. Here’s the rumor on Flowers. The excitement of the Arizona Fall League has been in full force when it comes to the performance of two Braves prospects. Tommy Hanson, who has been wowing anybody who sees him pitch, and the heavy-hitting Flowers. The latter of these two is a relative new comer on the radar for many Braves fans, but I’m here to tell you that he has some serious power. Last spring, I watched Flowers put on his batting practice displays that wowed every single teammate. Literally, heads turned as Flowers deposited baseballs into the far reaches of every spring training facility he visited. Braves beat writer Mark Bowman recorded the great first impression Flowers made on Braves manager Bobby Cox in just his first big league camp. All that said, I’m happy with the framework rumored to be going in this deal. It’s not nearly as prospect laden as the Mark Teixeira deal and could net the Braves one of the best starting pitchers in baseball for as long as five years. You see, that was my fundamental problem with the Teixeira trade two seasons ago. There was no security that Atlanta would be able to retain Tex beyond 2008. And sure enough, a king’s ransom was paid for the eventual acquisition of Casey Kotchman. This Peavy deal is a long term commitment to winning that I believe, among other things, will attract other free agent pitchers to the Braves based on the fact they are attempting to build a contender. One central theme of any trades the Braves make will be, does it make our team better in the long term (there’s that phrase again)? If the answer is yes, expect to see the deal happen. If the answer is now, then expect the Braves to pursue pitchers in the free agent market to check those off-season needs off the list. Losing a shortstop like Escobar is bittersweet, but I think the Braves have scouted and developed enough players in their day to weigh the pros and cons of letting the young Cuban infielder go in favor of the 2007 Cy Young Award winner. Atlanta has to give in order to get, and this package centered around Escobar seems to be far and away better than anything the Chicago Cubs have managed to muster on their own. Throwing in too many other prospects would take Atlanta right back to the Teixeira trap though, so Wren is going to be cautious not to go overboard just to make a deal happen. If this trade goes down, Atlanta will then turn its attention to signing at least one more top of the rotation arm from a list that is headlined by A.J. Burnett, Derek Lowe and Ryan Dempster. Of the three, Burnett provides the impact arm that would combine with Peavy to give the Braves a dynamic1-2 punch that is built for the post-season. He’ll probably cost at least $17 million a year too. The fun doesn’t stop there, as shortstop would be in need of an upgrade following the potential Peavy deal. Free agents Rafael Furcal and Edgar Renteria have both spent time in Atlanta and make a certain amount of sense. Furcal’s tools are far better than Renteria’s at this stage of the game, but Renteria has shown himself to be a better all around performer in the NL. There will also be a major cost differential between the two as well. Of course, that’s not a foregone conclusion by any means. The Braves could seek a trade or go after a completely different shortstop altogether. Once the first piece falls, it will allow the Braves to start making other moves. Now we wait to see if Peavy is the first piece or if the free-agent market will produce the opening transaction of the off-season.